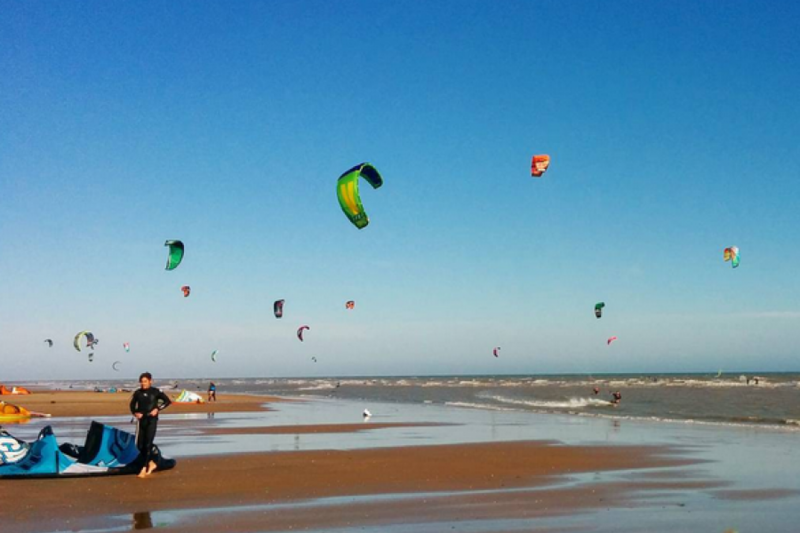 Power up with wind and learn slick board control, with a unique one-day kitesurfing course. 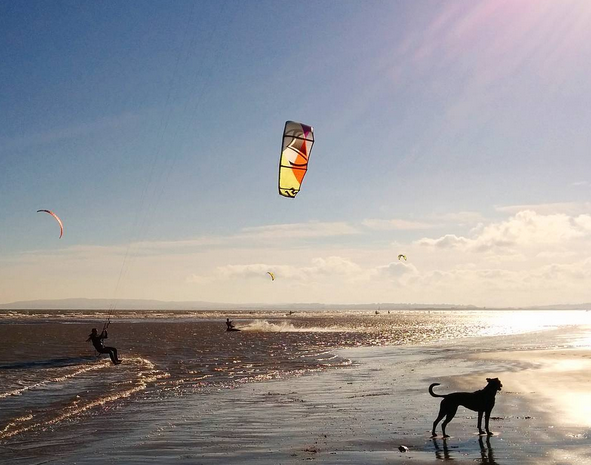 After learning the most important factor of kite control, you’ll take to the water for some practical learning. 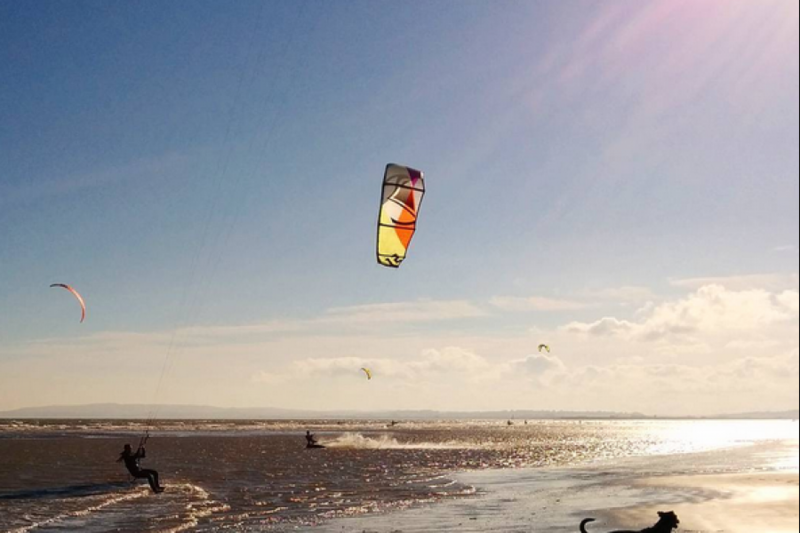 Safe, challenging, and fun to learn, this kitesurfing lesson will have you hooked and returning for more in no time at all. Insurance and brand new 2016 equipment included. Booking required, after receiving gift pack and or E-Voucher. Please call booking center on the number provided on the Voucher. Must be 14 or older. Under 16’s must be accompanied by an adult. Bring warm clothes, a towel, swimming costume,sunglasses and sunscreen. Course times subject to tide times. 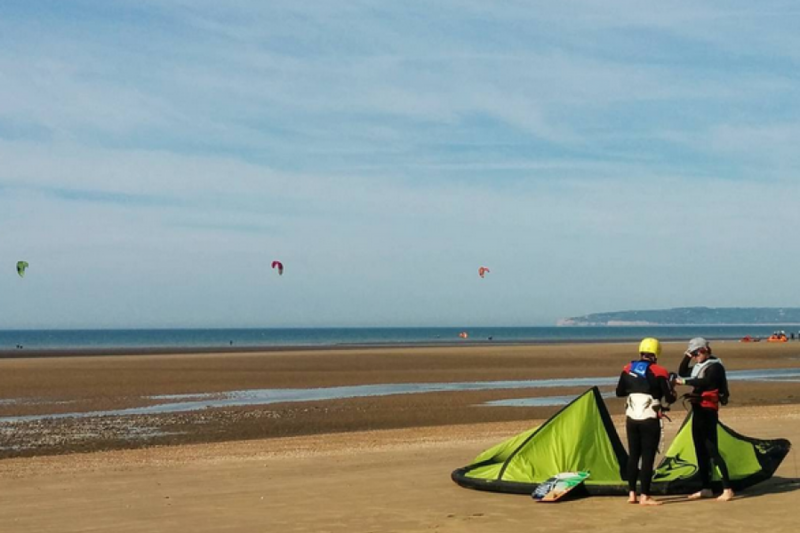 Kitesurfing can be a dangerous sport if not learnt and taught properly. 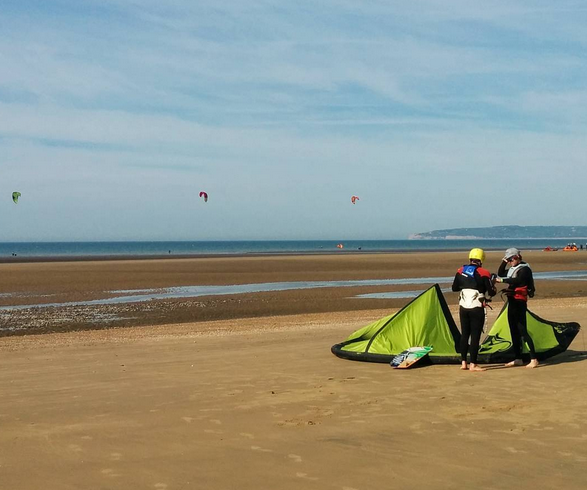 For this reason, we spend the first part (around 20 minutes) of the lesson covering the fundamentals of kitesurfing in the classroom and on the beach so you fully understand the sport and have a safe and highly enjoyable kitesurfing lesson. 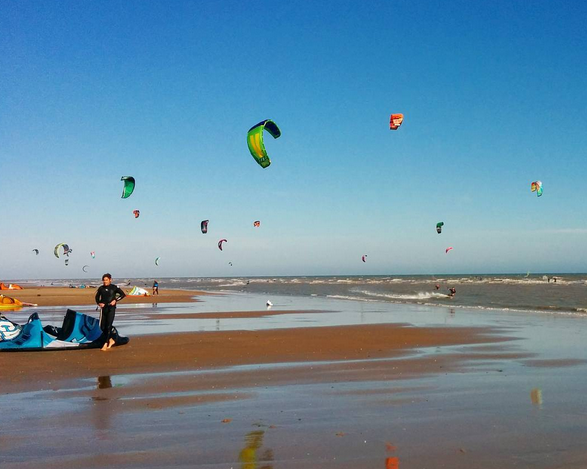 There will be a MAXIMUM of 4 students per instructor and usually you will be working with one kite between two. The course concludes with debriefs and hand out packs including BKSA/IKO certification within the comfort of our centre.